I’m a little frightened of heights, not heights so much as falling. I’m ok looking out as long as I don’t look down. 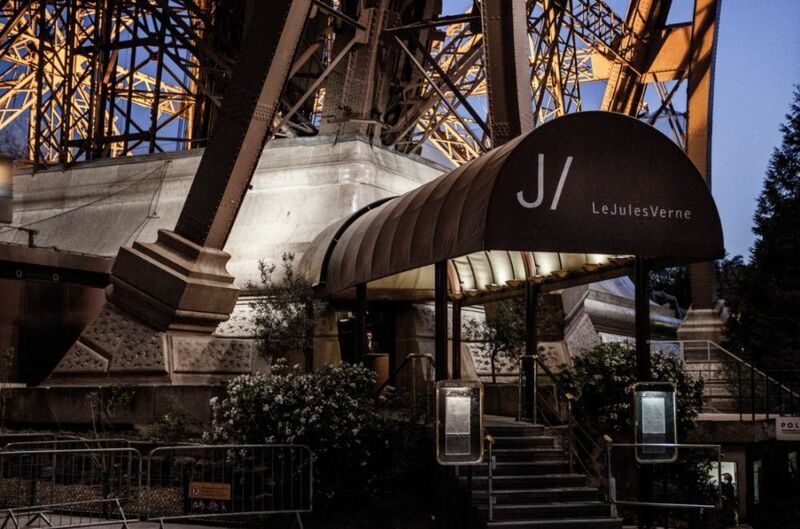 Jules Verne is 123 m up on the second floor of the Eiffel Tower so before I can start to get excited about the food I have to get past the trip up in the lift…the lift with the view! 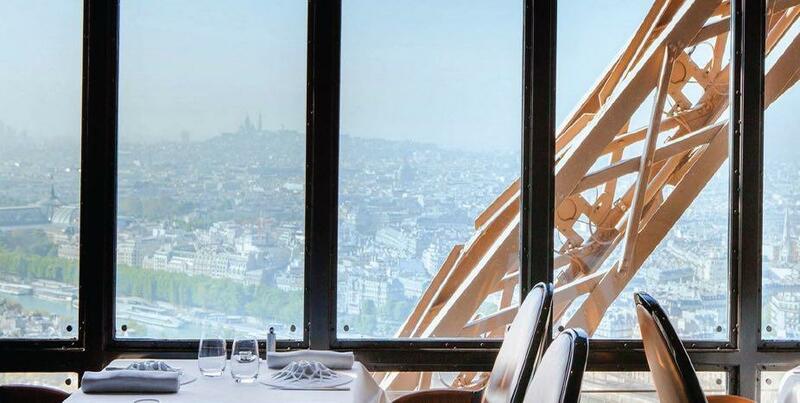 Strategically placed in the middle of the lift so I can peek at the skyline over my loves shoulder but so that I can’t see down to the Paris roof tops that are falling away below us, we ascend the long steel structure to our destination. The Tour Eiffel is our choice for today because it’s a special day, it’s New Year’s Eve and we want to really celebrate what has been a most wonderful year. Jules Verne is an occasion place and we have been expecting it may be a bit touristy. We are pleasantly surprised when we arrive, the atmosphere is simple and elegant and we are shown to what we think looks like the best seat in the house. 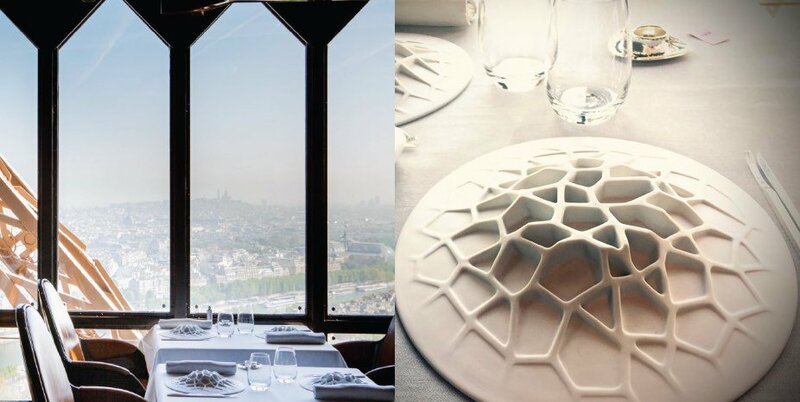 We are on the right (best) side of the tower with a stunning view over the centre of Paris rather than the suburbs which will be on view from the other side of the restaurant. We can see the Arc de Triomphe, Sacre Coeur, the giant ferris wheel at Place de la Concorde….the only monument we can’t see from here is the Eiffel Tower! We are lost for a while in appreciating how the soft winter light casts deep long shadows between the buildings. The structure of Paris laid out below us is fascinating, it reminds me of a painting I did earlier this year of a birds-eye view of Paris. 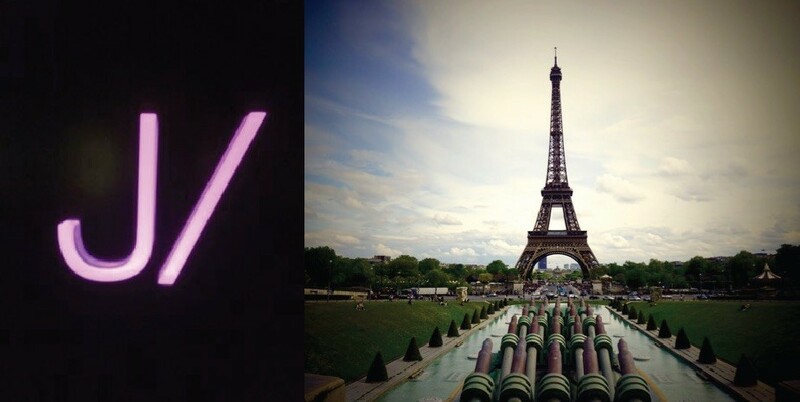 Champagne time, it is Paris after all ….and it’s New Year’s Eve. 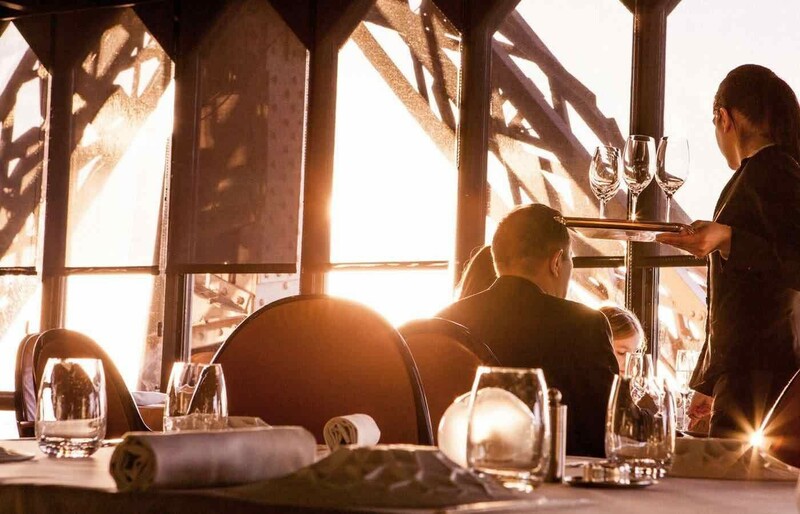 We peruse the “menu experience” a six plat “exceptional journey”. It all sounds stunning, a very special thing. Our waiter clears our beautifully set table removing the novel geometric design plate and disappointingly the best chopsticks In the world. Silver sticks with one end chopstick and the other, the most slender little knife and fork you have ever seen. I was kind of looking forward to giving them a go. Our waiter re-lays the table with silver flatware laid upside down, well clearly it’s the right way up as far as the French are concerned. I have never seen the fork laid with the curve of the tines curving up before France. The cheeky Chablis that we ordered arrives in time to accompany our first dish and it stands up beautifully throughout the menu. Perfect pick again. A delicate little starter of bream with horseradish and sesame appears in little silver pans, lovely presentation and the dish is exquisite. Soft marinaded fish is accentuated with a very delicate zing, the crunch of horseradish and a warm note of sesame. Our next dish is a sautéed Coquille St Jacques (scallop). 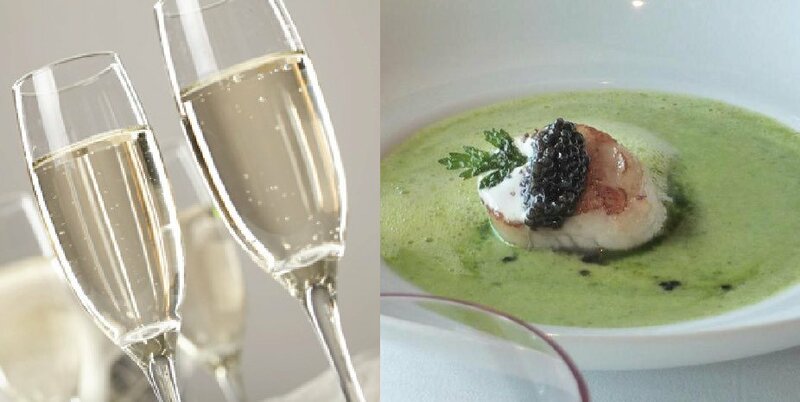 The dear morsel, is adorned with caviar gold (I’m excited, another first for me) and to finish, our waiter swooshes a light green lettuce volute (I have just learned that volute means a soup thickened with butter or cream) from a tiny jug to provide a delicate moat for our scallop. I have to taste the caviar on its own first. I have always had in my mind that it would be very fishy but it’s not really, it’s lovely, smooth and slightly oily. I’m still not sure why there is such a fuss about it though, I think its rarity must be it. I’m sure if it were as plentiful as potatoes it would not be a thing. The scallop is cooked to perfection, lightly seared and with a soft pink blush inside. The lettuce soup coating it a luscious creamy highlight. Things move on to a more robust dish of duck foie gras cooked in a pot with pumpkin and served with a port reduction. My second time now trying the crispy edged creamy centred real foie gras. Again perfectly cooked but the port reduction, slice of roasted pumpkin and crunch from toasted pepitas lift this dish to another level. The combination of flavours and textures is outstanding. The service is smooth, and nicely paced. Our waiter is a friendly cheerful chap who keeps bringing us bread so we don’t have to embarrass ourselves by eating the amazing butter straight off the butter knife. He tells us that in France bread is very good for your health! Is it any wonder we love the place, bread wine and cheese is all you need to put in your shopping basket apparently? 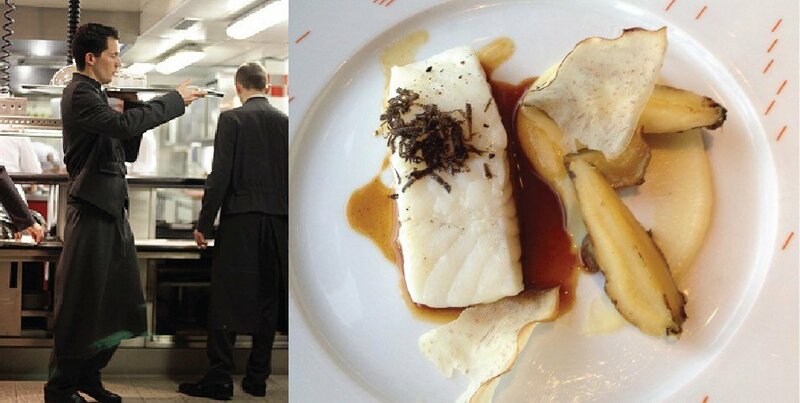 Our next dish is a fillet of turbot served with tender winter vegetables and citrus sauce. The fish is excellent and a generous portion, but the most memorable element of this dish is the vegetables. Turnips and swedes have been painstakingly “tourned” so they are all exactly the same size and therefore all cooked precisely to the same degree. 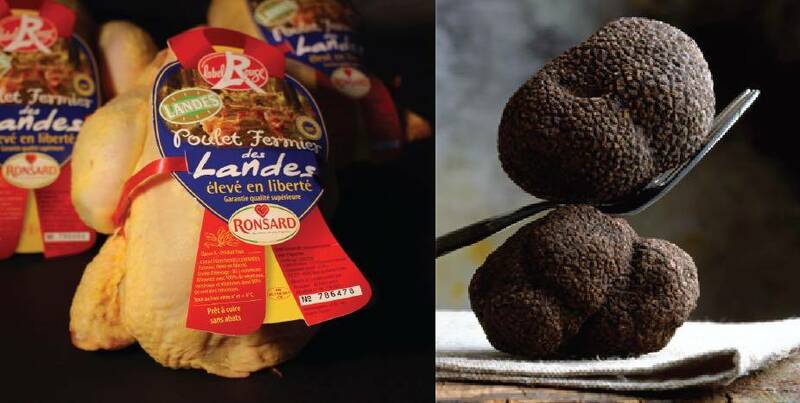 They are pale in colour but deeply rich in flavour which seems illogical. Atop the tourned root vege is a single rolled leaf of Savoy cabbage, lightly wilted but again with a depth of flavour that its appearance belies. The citrus sauce is delicate and subtle allowing the flavour of the fish and veg to excel just lifting it a little. It reminds me again how well the French seem to celebrate produce. Each and every ingredient tastes exactly and intensely of what it is. Landes chicken is a special yellow chicken fed with corn and grain. Their skin and flesh is deep yellow. We saw one at the Marche on our first trip to Paris but could not buy it as she still had her head and some head and tail feathers. Lucky for us Landes chicken Demi deuil style with an albufera sauce is our final savoury dish so we get to try it without head chopping or plucking. The dark golden chicken breast arrives, lavish shavings of black truffle tucked under the skin and glazed in the rich Madeira, Armagnac and foie gras sauce. I am very excited about this dish. It’s smells wonderful. Magic, the flavour of the chicken infused with truffle is amazing and the sauce is to die for. We have brought the savoury stage of our adventure to a most elegant conclusion. Moving on to the first of two desserts a chestnut and black currant Mont Blanc arrives. Refined and delicate it does not resemble at all the Mont Blancs I have seen in patisseries that look like large swirls of vermicelli. Visually this dessert is far more appealing. It tastes wonderful, sharp tangy black currents are softened with rich chestnut cream on a crisp biscuit base. Stunning. Our final dish is a little chocolate “tower nut” it is a rich chocolate pudding served with an incredible ice cream. 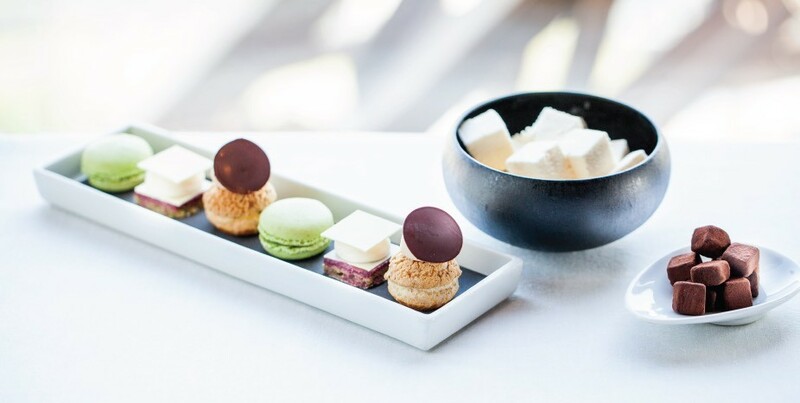 At the same time, we are served a selection of petit fore and I need to make a choice. The chocolate dessert is incredibly rich and I’m not sure I can manage it. I do want to try the dainty little treats before me. Included in the sweet treats is a bowl of marshmallows the flavour of which is indescribable. Let’s just say you know what marshmallow tastes like? Yes?….well nothing like that. Citrus, fresh, zingy, perhaps kafir lime… amazing. But the big winner on the table for me is the smallest treat. Tiny little chocolate fudge squares not even a centimetre cubed, laced powerfully with cardamom giving it a very distinctive punch. 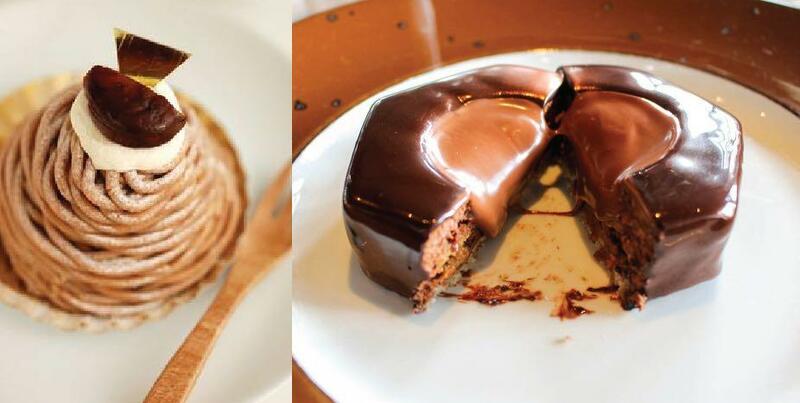 You only need one to feel very decadent indeed. 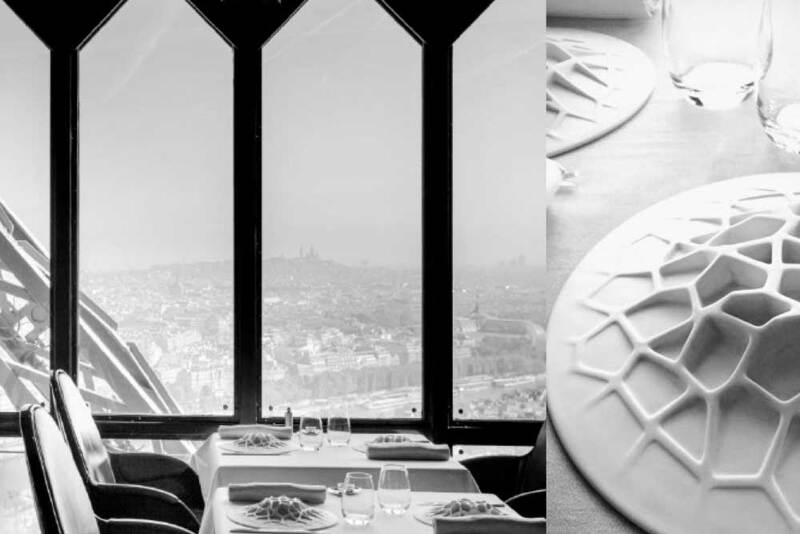 We wrap up another stunning lunch, take a last look at Paris from this unique perspective, and make our way to the elevator to make our descent. A parting gift at the door is a lovely surprise a bag of Madeleine’s. After what we have experienced here today I expect they will be very very good.